Houdah Software released a major upgrade of their excellent Spotlight search utility, HoudahSpot 5, last week. 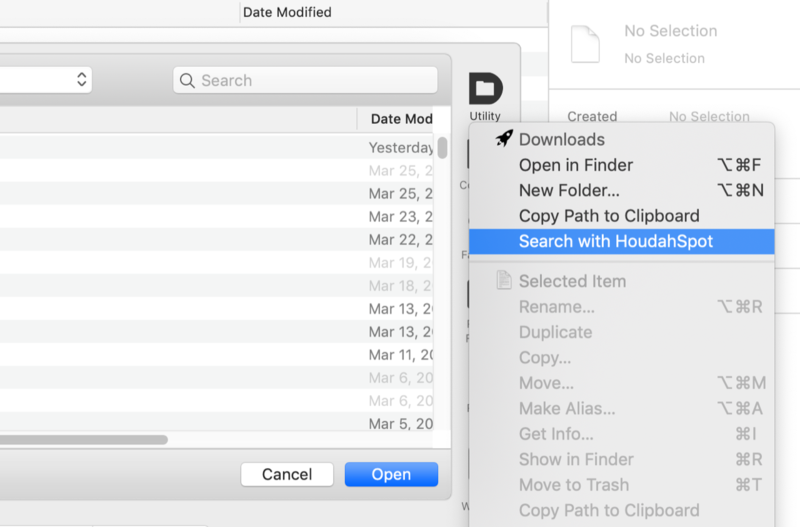 Among a ton of useful new features, HoudahSpot now also integrates with Default Folder X, giving you a much more powerful way to search for files and folders in Open and Save dialogs. 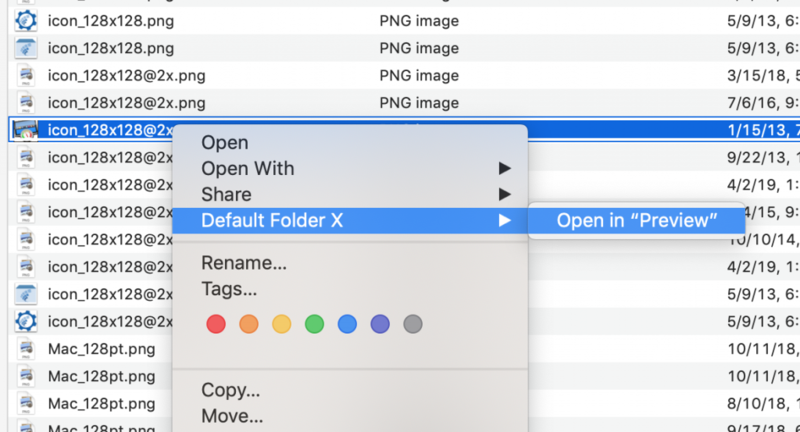 When you’re in a file dialog, Default Folder X provides a menu command to quickly search the currently displayed folder in HoudahSpot. This gives you the flexibility to search by file type, tags, content, modification date, or any other parameter you can think of. Once you’ve located the file you want in HoudahSpot, Control-click on that file and use the “Default Folder X” menu to finish the round trip and send it back to the waiting file dialog (in Preview, in this case). I’m happy to have had the chance to collaborate with Pierre Bernard, HoudahSpot’s developer, on this workflow. It delivers more convenience and time-savings to all the folks that use both HoudahSpot and Default Folder X. If you have ideas for similar connections between your favorite indie applications, let the developers know – many of us are very receptive to your suggestions. Default Folder X also integrates with ForkLift and Path Finder, for example, because lots of people asked for it! And if you haven’t tried HoudahSpot yet, go download a free demo copy now and check it out. You’ll be glad you did! I’m very excited about Ironic Software’s establishment of OpenMeta, a new standard for storage of tag metadata on OS X. Storing spotlight keywords in the Finder/Spotlight comments of files has always been problematic, but up until now, it was the best solution available if you wanted general-purpose access to the tags via Spotlight. Now OpenMeta uses the metadata capabilities in HFS+ to uniformly store tag information – and provides open source code to make it easy for developers get on board. Ironic’s Deep application uses it, and Gravity Applications’ new Tags app is doing it too – you can assign tags to files, email messages, photos – it’s very slick and oh-so-much-better on a technical level – we just have to get more people to adopt it! As always, one of the missing pieces is being able to tag documents as you’re saving them – Default Folder X already supports this using the traditional Spotlight comments, so it makes all the sense in the world for DFX to support OpenMeta. So in answer to all the emails I’ve been getting – YES, Default Folder X will adopt the OpenMeta standard (while still supporting Spotlight comments too, for those of you that aren’t ready to switch).